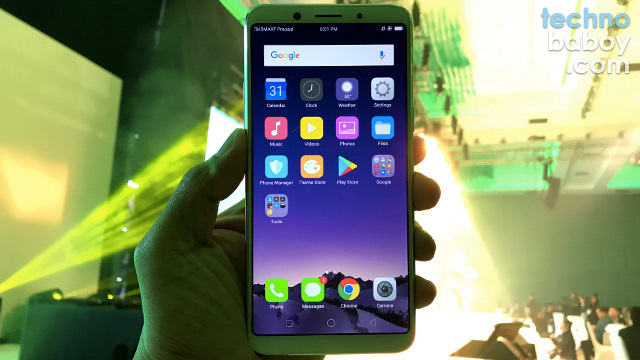 The OPPO F5 launched yesterday among a crowd of excited people as they cheered for the arrival of one of this year’s most anticipated smartphones. It was also announced that the handset will be available under Smart Postpaid 599. One of this year’s most anticipated smartphones, the OPPO F5, is now available for pre-order under Smart Postpaid Plan 599. Just add a device fee of PHP800 per month on top of your monthly service fee and you’re good to go. The plan includes 5GB of open access data, 500MB for Facebook Messenger, Viber and WhatsApp, unlimited text to all networks, 30 minutes of all-net calls, and discounted per minute calls (of PHP4/minute) to Smart and TNT. It also comes with a 24-month contract. The OPPO F5 features a 6-inch 18:9 full HD+ display, an octa-core MediaTek MT6763T processor, 4GB of RAM, and 32GB of storage. The new Selfie Expert comes with a 20MP front camera with a f/2.0 lens and screen flash. The rear camera uses a 16MP sensor with a f/1.8 lens, PDAF, and a LED flash.